Tracking cookies are an unfortunate reality of using the internet when so many sites and services are supported by advertising. Verizon Wireless was caught recently using so-called "supercookies" to track users for advertising purposes, and unlike regular cookie files, there was no way to block or opt out of this tracking. Well, the FCC has finished its investigation of Verizon's tracking practices and fined the company a mere $1.35 million. A supercookie is not quite the same as a standard cookie, which is a file on your machine that can be removed or blocked. 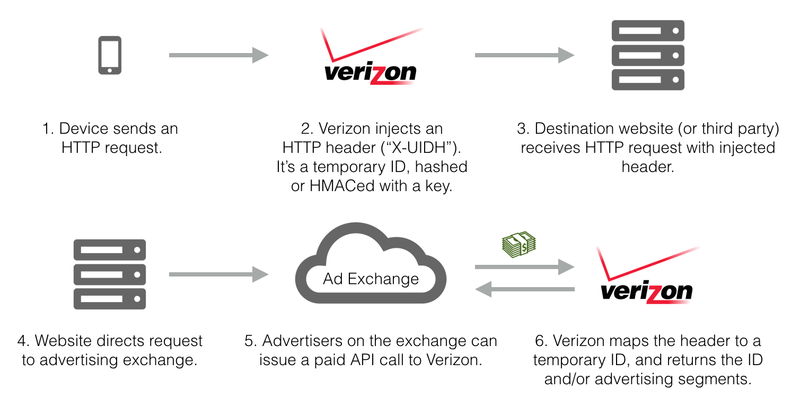 Verizon was injecting a unique identifier into all HTTP requests, allowing any website to track a user by his or her permanent ID. Shady stuff. Verizon was eventually pressured to provide an opt out in early 2015, but now the FCC has issued a fine based on Verizon's violation of 2010 regulations on transparency. Florida Senator Bill Nelson called the decision, "a win for consumers that will hopefully make companies think twice before engaging in practices that violate consumer privacy." Will it, though? $1.35 million is a vanishingly small amount of money for Verizon Wireless. It has a little more than $20 billion in revenue each quarter (not including the rest of Verizon). That means Verizon Wireless is puling in over $200 million every day. This is a sad little slap on the wrist. At least someone got slapped, though.